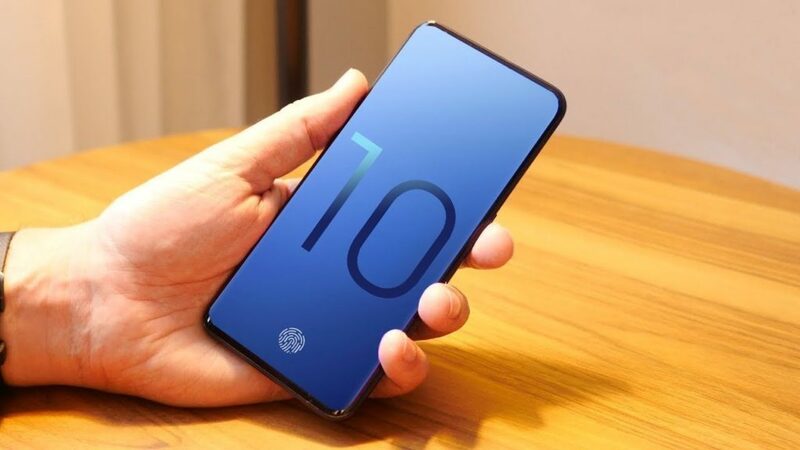 Samsung is expected to launch three variants of the Galaxy S10 next year and apparently, all three variants will sport in-display fingerprint sensors with the two higher-end variants housing an ultrasonic scanner and the third lower-end model featuring an optical scanner. The use of in-display fingerprint sensors is expected to define the overall smartphone market next year. Now that the dust has settled after the Galaxy Note 9's launch, everyone is looking forward to the Galaxy S10 launch next year. We've been hearing for sometime about Samsung's plans of incorporating an in-display fingerprint sensor and that it would be using two different approaches for incorporating the sensor in the Galaxy S10 variants. Korean outlet, The Investor, has confirmed from industry sources that this is indeed the case. While all three S10 variants will sport in-display fingerprint sensors, the higher-end S10 and S10+ will have an ultrasonic scanner while the lower-end variant, which we'll refer to as the S10 Lite for now, will have an optical sensor beneath the display. Sources in the display industry have told The Investor that Qualcomm will be the exclusive supplier of ultrasonic in-display fingerprint sensors. Unlike the optical sensors currently in vogue, ultrasonic sensors create a 3D map of the finger and are therefore, more difficult to spoof compared to the flat 2D image generated by optical sensors. Ultrasonic fingerprint scanners are also resistant to dust and grime on the fingers. Although Synaptics was offering optical in-display fingerprint sensor tech in 2017, the technological immaturity prevented Samsung from incorporating it in the Galaxy S8. Chinese smartphone vendors such as Vivo, however, were not hesitant to incorporate the Synaptics sensors in phones such as the Vivo X20 Plus UD. In-display fingerprint sensors are expected to be a major defining feature of smartphones in 2019 and major sensor makers are collaborating with Samsung Display to incorporate them in OLED displays. The combined use of OLED screens and in-display biometrics is expected to increase the price of OLED displays and consequently, lead to pricier high-end smartphones. The Samsung Galaxy S10 is expected to be powered by the 7nm octa-core Exynos 9820 SoC, which uses a 2+2+4 DynamIQ architecture. Samsung is expected to announce the Galaxy S10 during MWC 2019 in February followed by broad availability sometime in March 2019. The South Korean giant is also expected to announce a foldable Galaxy smartphone next year.